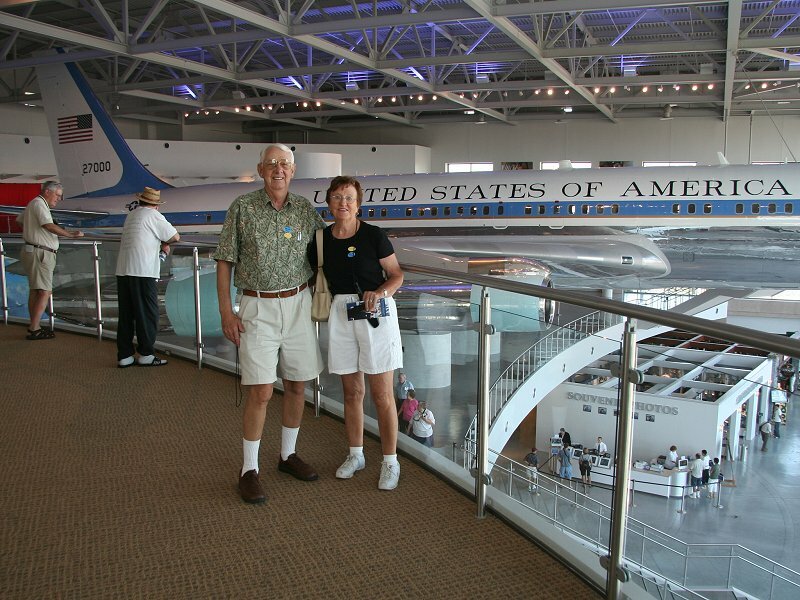 Mary and I were the only ones who hadn't seen the Reagan Presidential Library, so on the morning of Day 3 we went off by ourselves to take a look. The library lived up to our expectations but I was left with an observation that on retrospect isn't too surprising. 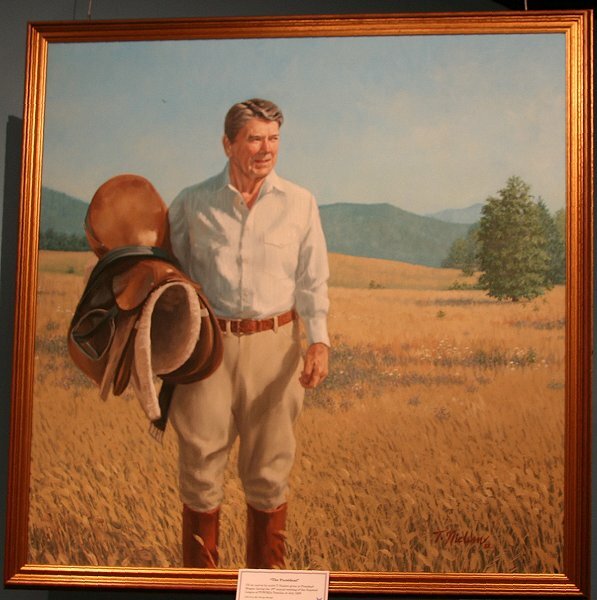 Material in this library is presented more as a Hollywood production than as a display of the history and records of the Reagan Administration. 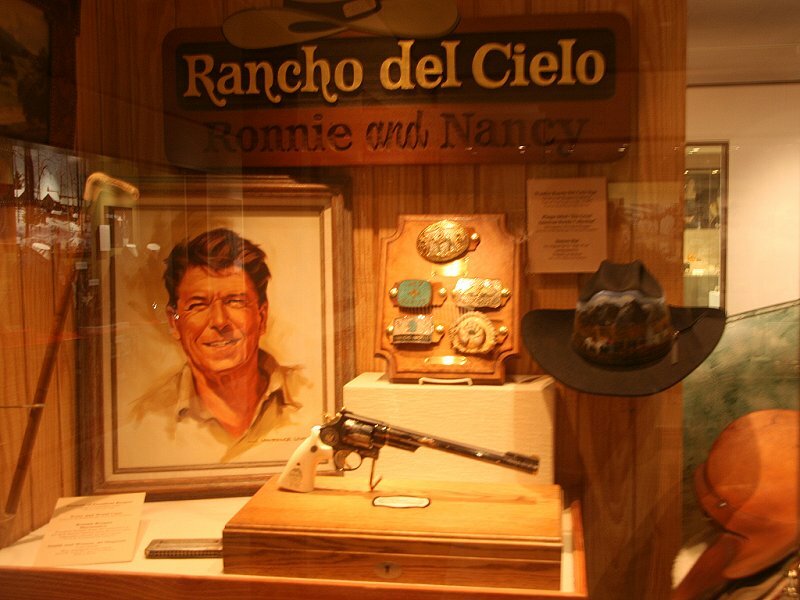 Much of the library is devoted to Ronnie and Nancy as personalities, with pictures and memorabilia from their Rancho del Cielo and other items from their personal life. 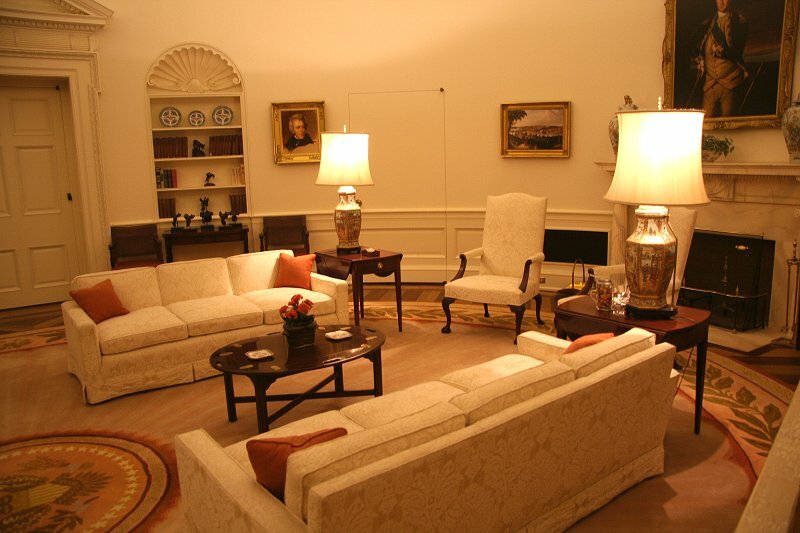 Videos of their life and political times play on television monitors in almost every room. Still, a great deal can be learned by spending time absorbing information from these multimedia productions. My attention was focused enough on taking a personal photographic record that I certainly need to return to spend more time reading the written displays. 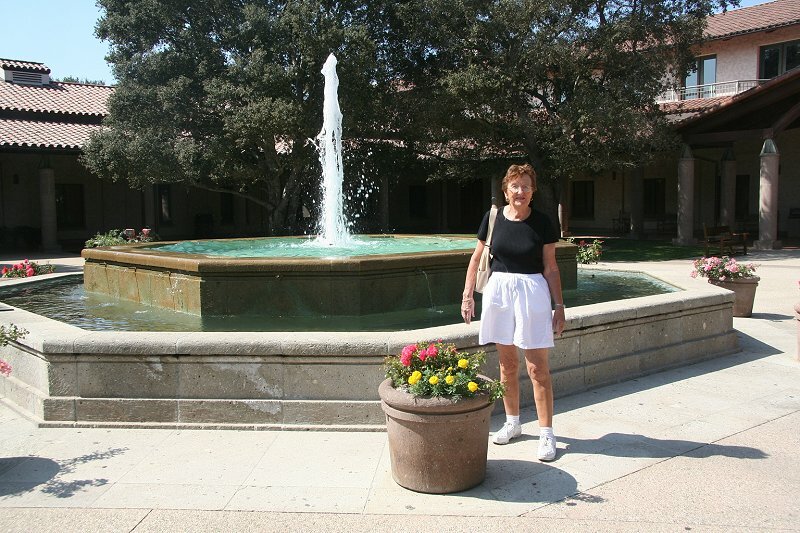 Admission is nine dollars for seniors. Personal audio players are available, which are keyed to station numbers posted throughout the library. We found such players to be very valuable when we toured a submarine in San Francisco, so I sprung for their five dollars apiece for Mary and me. However, with all the other audiovisual presentations throughout the library it wasn't long before we just stuffed our players into our pockets and chalked them up to ten dollars ill spent. 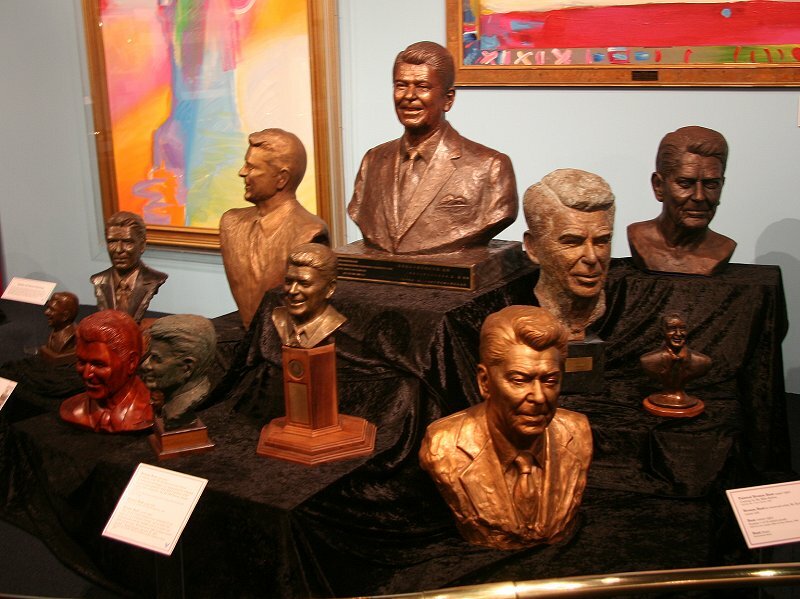 It's worth noting that Reagan himself narrated the audio material in these players and also in the library videos. 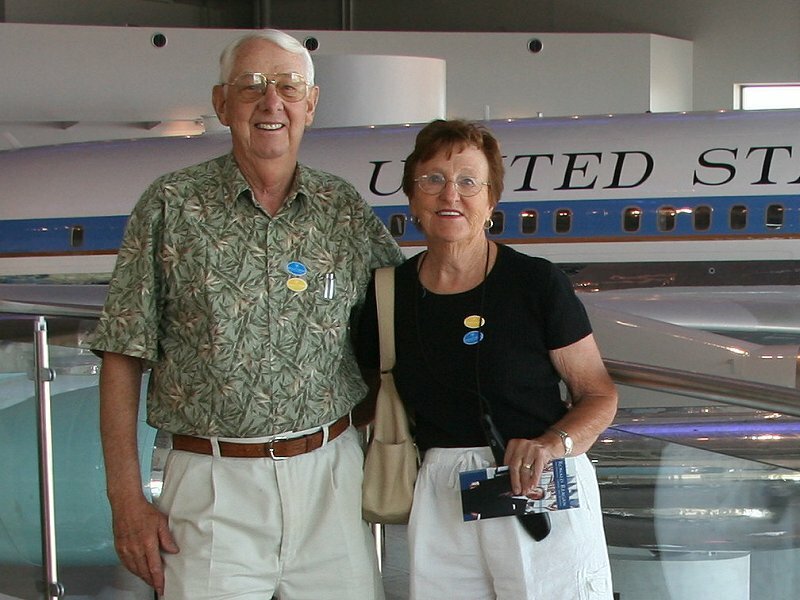 It is obvious he and Nancy devoted themselves to the library in their post-administration years. No matter your political persuasion, we must appreciate the dedication to service of these two exceptional Americans. 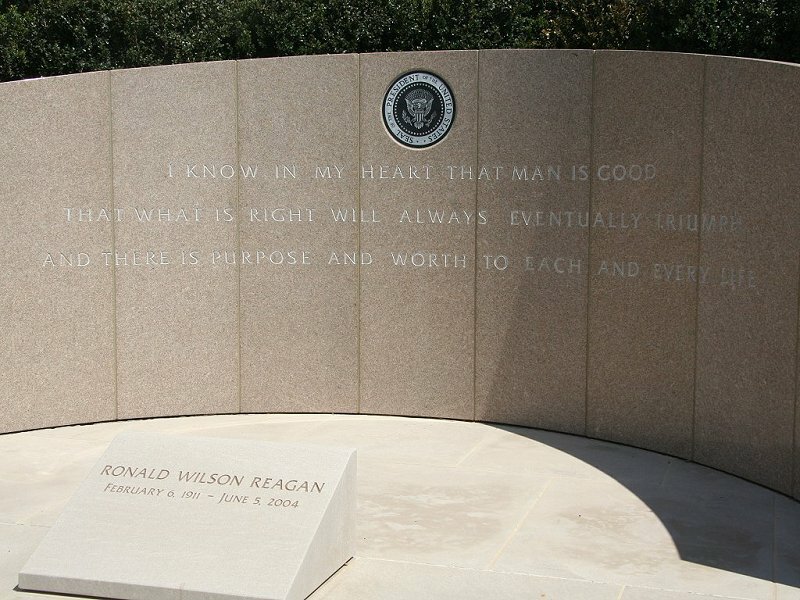 Their method of presentation is appropriate when you reflect that much of the success of the Reagan Administration resulted from his steadfast belief in basic principals and his ability to communicate these principals. 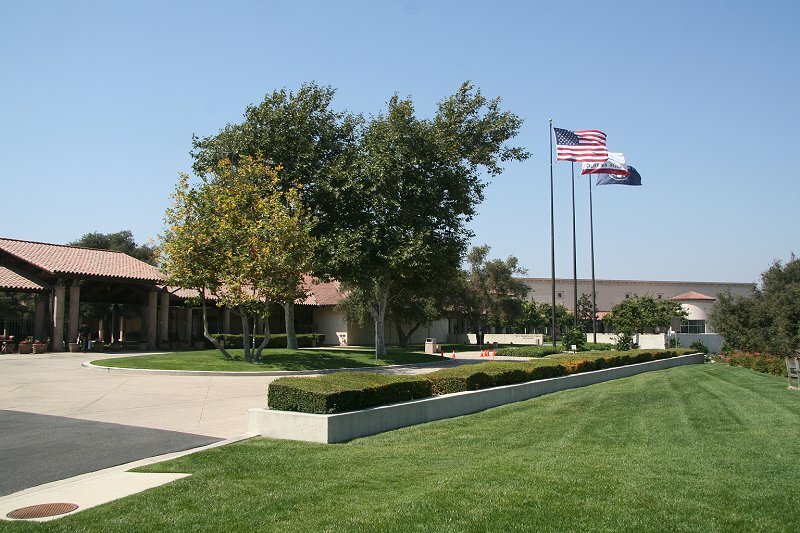 Main entrance (on the left) as approached from the parking lot. 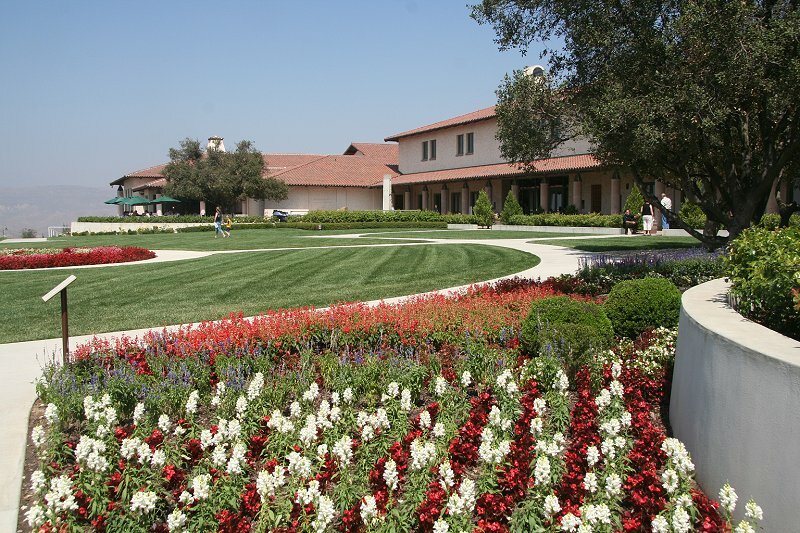 Entrance courtyard. 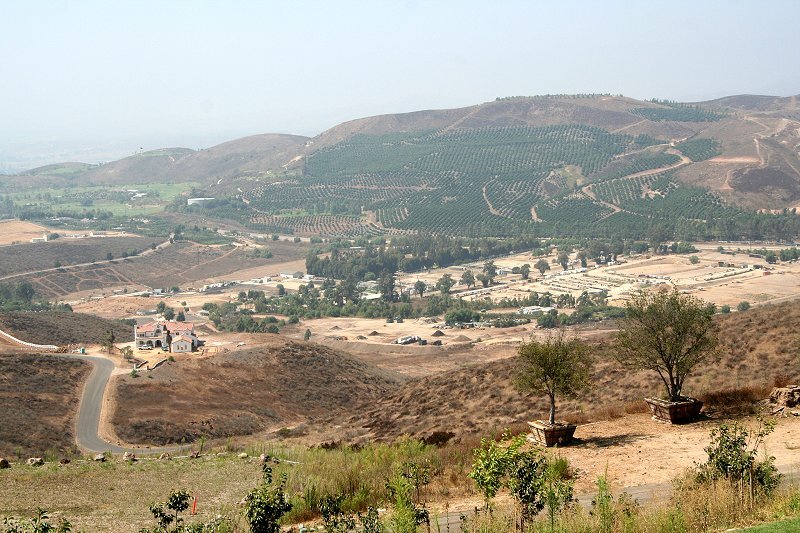 The buildings are designed to resemble a gracious hacienda. 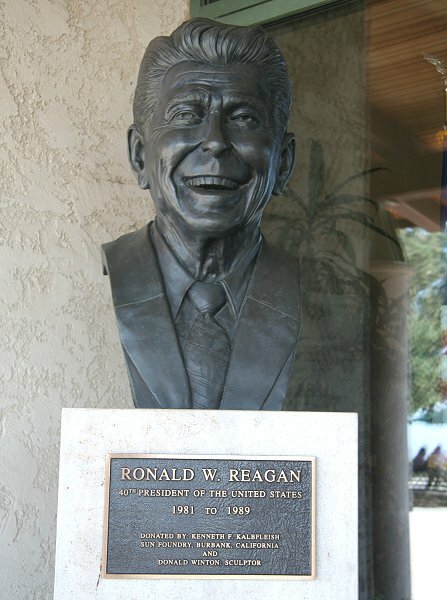 Reagan greets you at the entrance door. 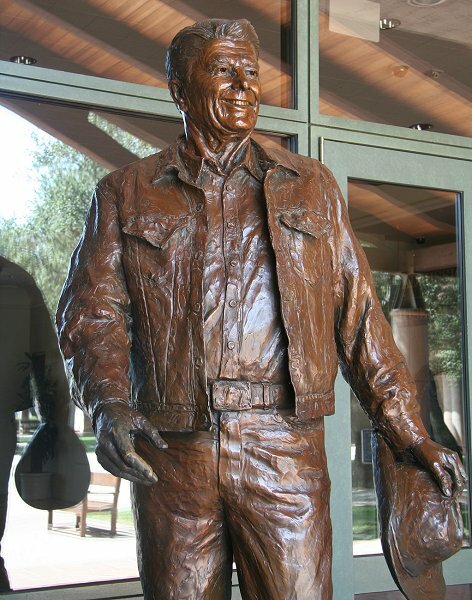 Reagan's source of strength and renewal was his ranch. 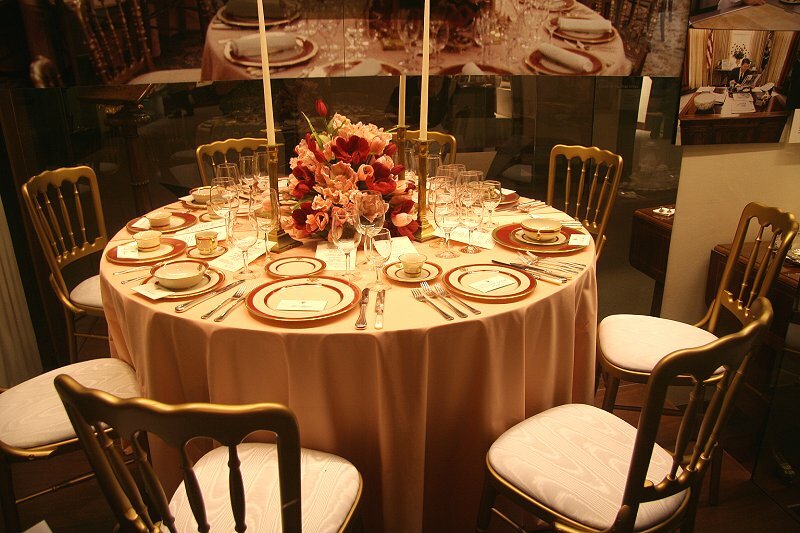 I photographed just a few of the huge room filled with gifts of many forms. 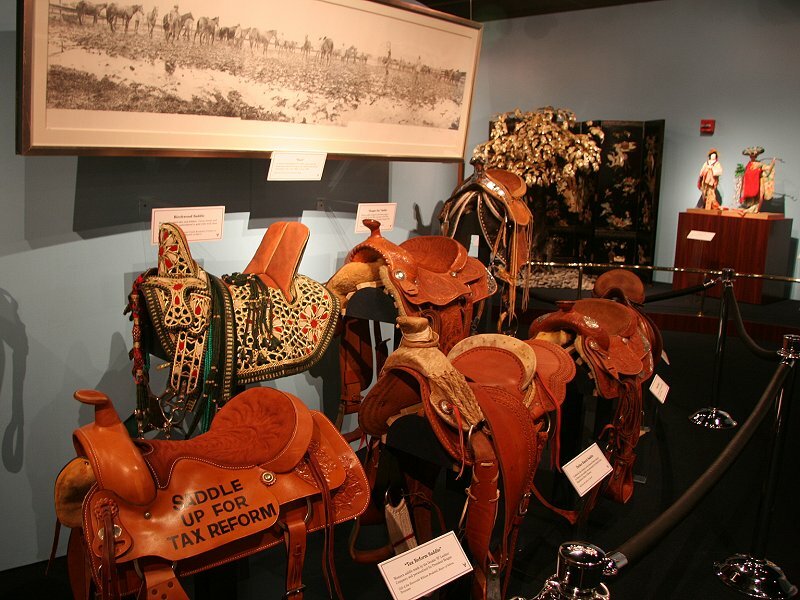 These saddles are exceptionally appropriate. 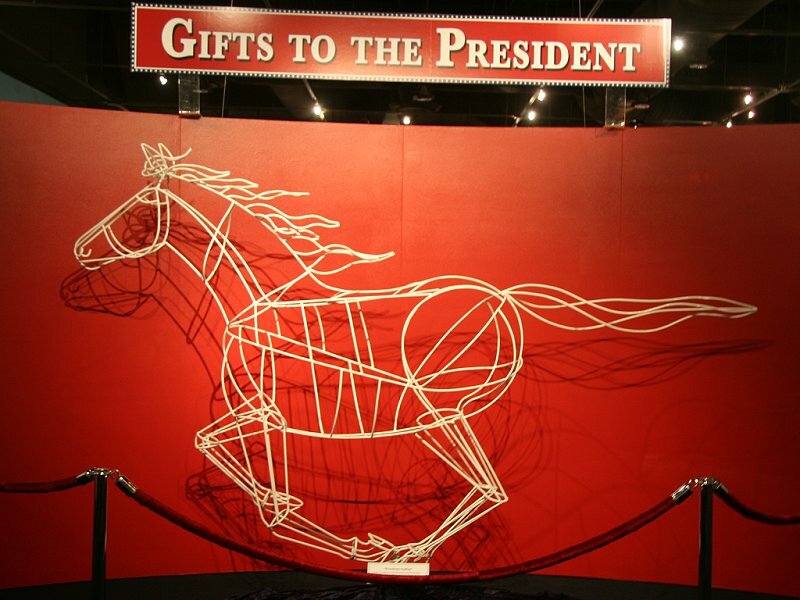 There's a message to all these gift busts, but the one I received may be just my own. We rushed soon to the Air Force One building, to report on this recent addition. Crop into the above picture. No photography is allowed aboard the plane. 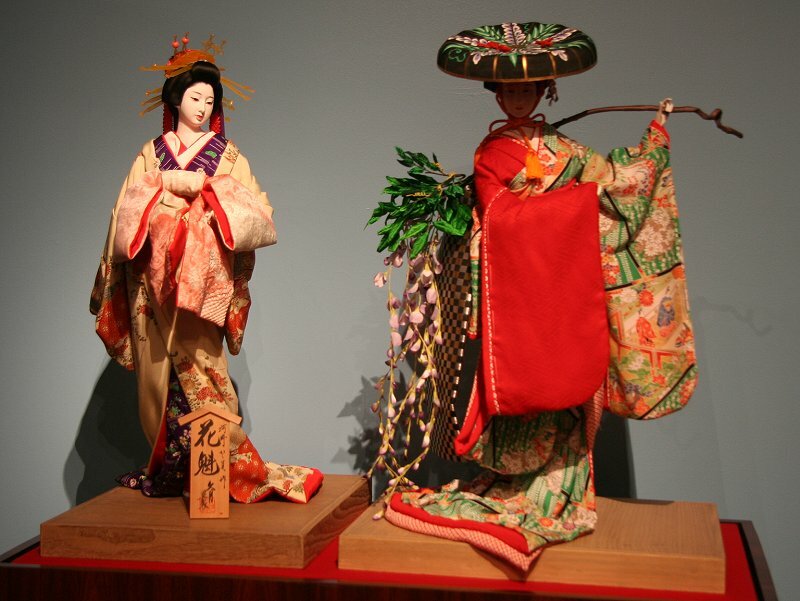 These panels are an example of the valuable material we whizzed through without reading. Next time! 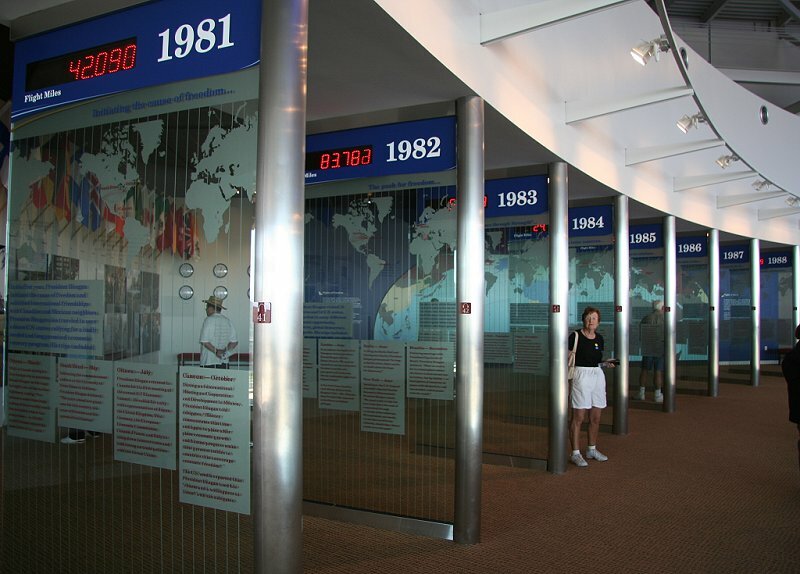 Each panel has a list of places and purposes for the extensive travel by President Reagan. 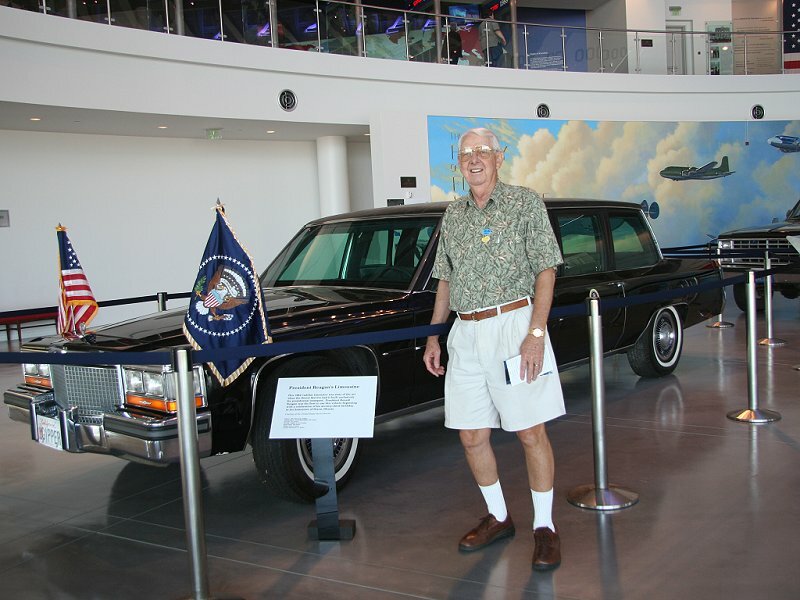 Reagan's armored Cadillac was also in the Air Force One building. A plaque at the entrance notes that it was donated by T. Boone Pickens (the famous corporate raider). 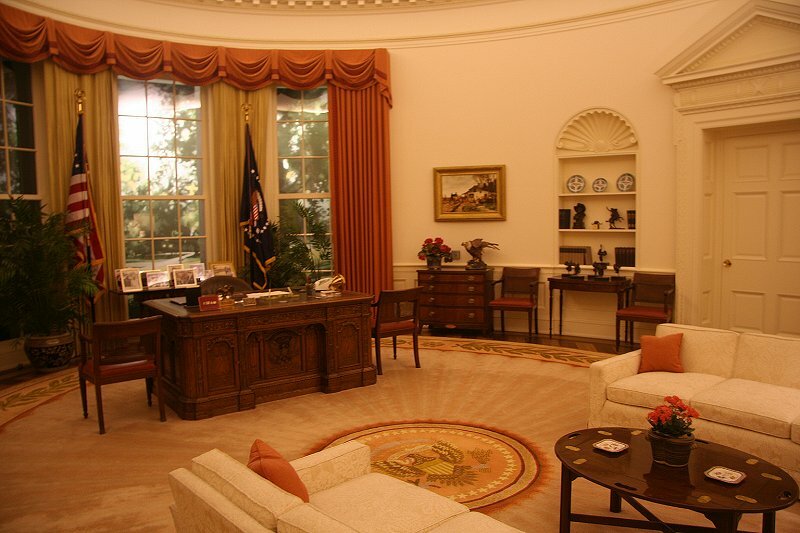 Full-size oval office reproduction, president's desk end. Guest's end. This reproduction is everything it's cracked up to be. 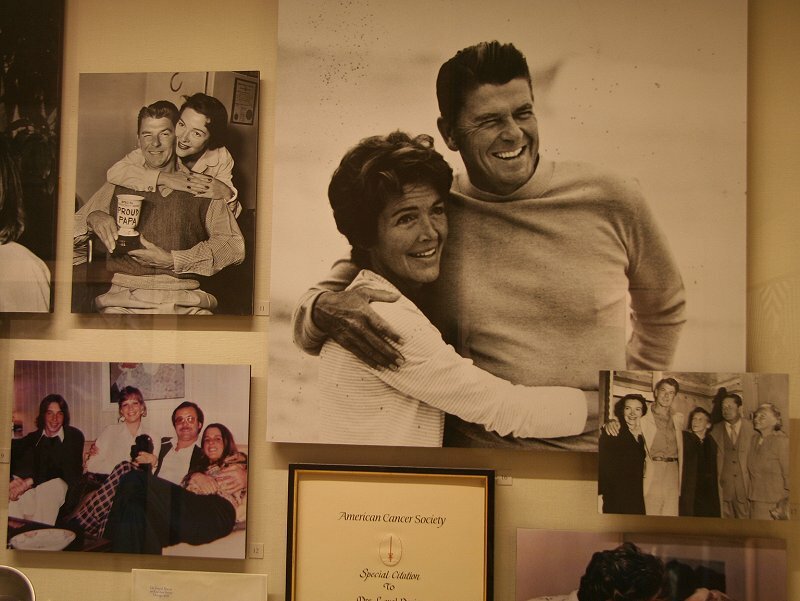 Then come rooms devoted to the Reagans' personal lives. 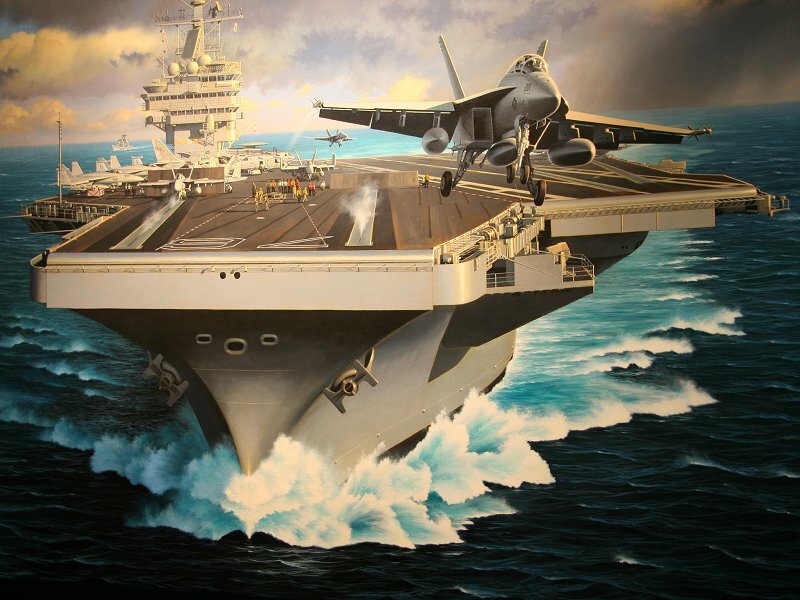 Painting of the recently christened Ronald W. Reagan aircraft carrier. Small part of the view from the rear of the library on this very smoky forest fire day. 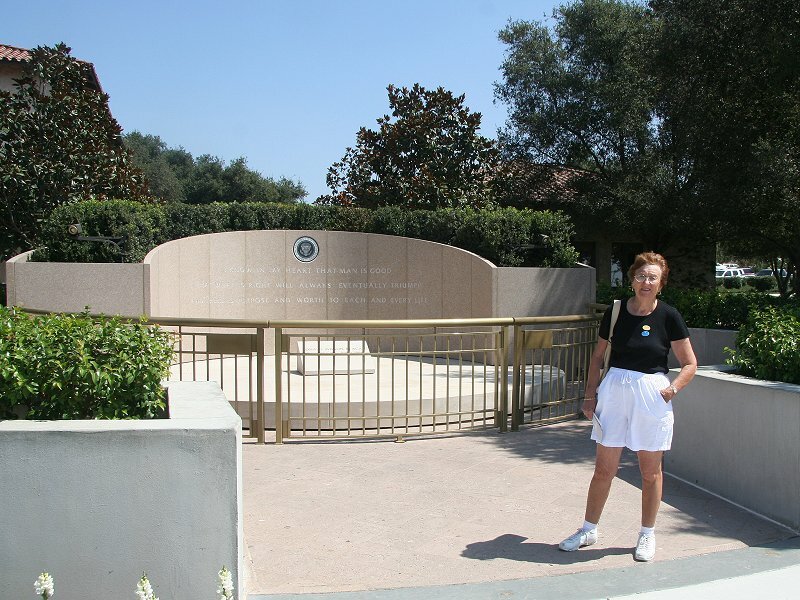 Mary at Reagan's final resting place. As you see, I focused my camera on the most visual portions of an already audiovisual library, so there's not much presidential administration material here. For that you go to the library yourself, and you will find it.